How does all-you-can-drink beer, gourmet food and top-notch entertainment all at one venue sound? If you love the idea of that, then Beerfest Asia 2017 is just right around the corner and the perfect event to mark on your calendars. Taking place on Aug 17 to 20 at Marina Bay Cruise Centre, Asia's largest beer festival promises to be the most refreshing and upgraded version ever this year. Visitors can look forward to a delightful variety of over 500 beers and ciders, mouth-watering bites, and an exciting entertainment lineup that includes international tribute bands as well as local DJs. Stomp is giving away FIVE pairs of VIP passes to Beerfest Asia on Aug 18, 2017. Entries that do not fulfil all the steps in the Facebook post will not be valid. The contest closes on Aug 15 and all winners will be notified by Aug 16. Gunners is renowned for being Perth’s premier Guns N’ Roses tribute act. 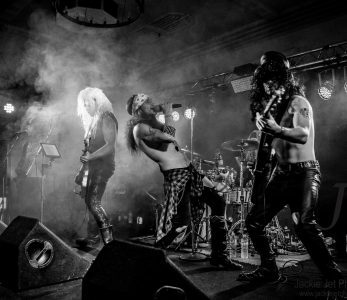 With highly energised stage presence in addition to professional sonic delivery, they perform all of Guns N' Roses greatest hits with complete authenticity and ensures that no corners are cut when paying homage to the group dubbed ‘The Most Dangerous Band in the World’. Singer, Emcee, DJ, Make-Up Artist, Model, Dancer, Writer, Influencer – the multi-talented and gorgeous Red has done it all. Besides being the DJ Manager of Altra Mgmt, she is also Skyline's resident DJ. Capable of making the audience cry, laugh, lose their voices, and blamed by their friends for having their toes stepped on whilst dancing, local band The Common People plays top 40s pop rock and party tunes from the 80s, 90s. Made up of versatile members, the band plays exactly what the crowd wants to hear at the appropriate moment. Dazzling to both the eye and ear, this young beauty has a phenomenal flair for finding the right sound for her audience. With a fan base that becomes increasingly larger at every event, DJ Sakura is definitely rising through the ranks rapidly. From chill-out sunset sessions to late night after-parties, Zig Zach's sets take listeners on unforgettable journeys. The former resident DJ of Kyo Singapore is no stranger to iconic music festivals and has also touched other parts of the world with his talent, such as in Bangkok, Bali, Manila and China. Currently a resident DJ at the popular FashionTV Club Singapore, Reiko is also one of Altra’s most highly sought-after artistes. 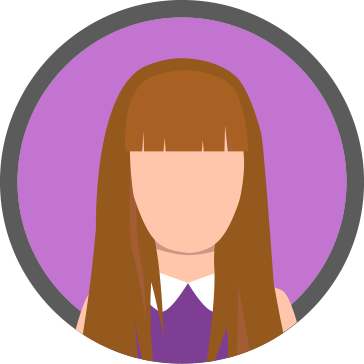 The social media personality has since become a household name for female DJs in the South East Asian party scene. Zouk regulars might be familiar with Brendon P, who completed an eight-year residency there, as well as another two years at Kyo Singapore. With a career that spans three and a half decades, Brendon P has made a name for himself both locally and internationally, despite preferring the low-profile, lo-fi approach to his work. A model, blogger and influencer by day, and a DJ by night, Shenny Yang wows the crowd with every spectacular set that she plays. Embracing her love for all kinds of music genres, she decided to take control by being behind the decks instead of just being part of the audience. Tickets are priced from $15 onwards (includes a complimentary welcome beer) and can be purchased here.